Edythe Rhea Warren, 85 of Morgantown, Kentucky passed away Thursday March 21, 2019 at the Morgantown Care & Rehab. Edythe was born December 26, 1933 in Butler County, Kentucky to the late Noble Johnson and Martha "Dottie" Read Moore and wife of the late Hugh Hines and Wendell Warren. 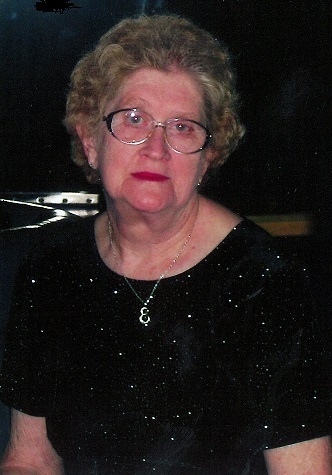 She was a member of Point Pleasant Cumberland Presbyterian Church and Eastern Star. She loved to travel and being with her family. Edythe Rhea Warren is survived by three step daughters Angela McKee, Sheila Bayman and Laurie Warren; several step grandchildren; seven first cousins Buddy Brizendine, Jeanette Joyce, Celia Jenkins, William Read, Peggy Klutts, Anita Jackson and Kathy Pharris and several other cousins. Funeral services will be held at the Jones Funeral Chapel Sunday March 24, 2019 at 2:00pm with Bro. Greg Hillard and Bro. David Hocker officiating. Burial will be held in the Point Pleasant Cemetery. Visitation will be held on Saturday March 23, 2019 from 4:00pm - 8:00pm and Sunday 9:00am until funeral time at 2:00pm at the Jones Funeral Chapel. Please share any photos, memories, condolences or light a candle in memory of Edythe at www.jonesfuneralchapel.com. Memorial contributions may be made to The Gideons International P.O. Box 195 Morgantown, KY 42261.